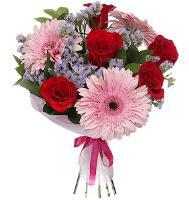 Overseas Flower delivery needs florists or garden centres in St. Vincent to send and receive International flower oders through our worldwide flower network. Please email us with full details as soon as possible. 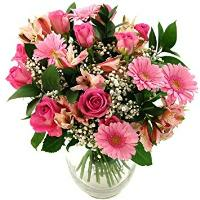 With a global flower network, our well established overseas flower delivery company can offer international flower deliveries by hand through one of the best flower network in St Vincent and also internationally. The ultimate aim of our St Vincent florists is to provide an excellent, quality service to both local and customer overseas. 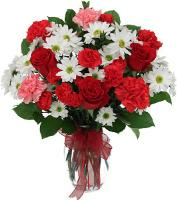 We guarantee flower deliveries in St Vincent and the surrounding area. 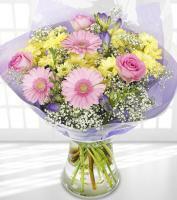 Customer satisfaction is always the prime concern for St Vincent florists. Our St Vincent flower shops provide a wide variety of flower gifts ranging from roses, assorted bouquets, attractive flower arrangements, countless flower designs, indoor plants all put together professionally by our team of skilled florists in St Vincent. 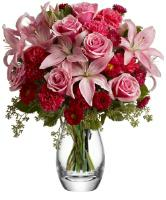 Express Flower Delivery in St Vincent - Flower orders are designed considering the tastes and culture of St Vincent. Flower substitutions occur only when necessary due to the lack of availability of some flowers in St Vincent. 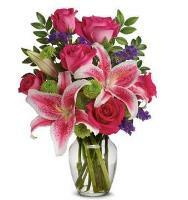 All flower orders will be filled as close as possible to the item selected on our website. 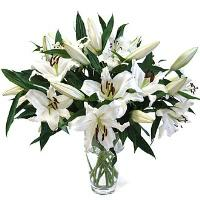 Still the delivered flowers may slightly vary from those in the chosen picture on our website. 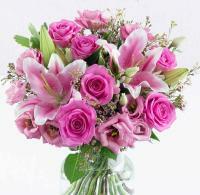 So please give a second choice of flowers on all flower orders. St Vincent Flowers - The last week of June is Carnivale celebration in St Vincent. 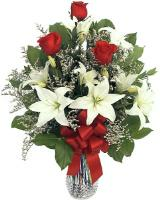 A local telephone number is requireds for all St Vincent flower orders. Our florists on St. Vincent can have your flowers delivered to main island the next business day if your order is placed before 1pm. 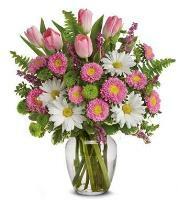 Allow 72 hours for flower delivery to the Grenadines. 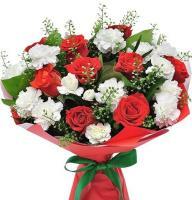 In order not to be disappointed we recommend you to purchase your flower 5 days prior Christmas, Mother's day, Easter and Valentines day. 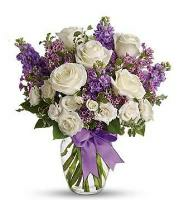 When sending flowers to St Vincent, one must provide a telephone number and where necessary a mobile number of the recipient in St Vincent. 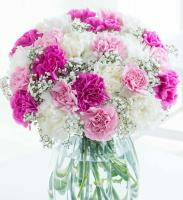 Send Christmas Flowers to St Vincent makes the perfect present! 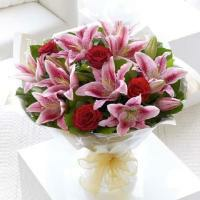 Us our online flower shop to send flowers to your loves ones in St Vincent. You can choose from our wide selection of Christmas flowers and our local florists in St Vincent will hand deliver your Christmas flowers to any location in St Vincent. 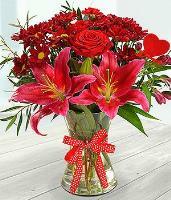 Valentines Day is a holiday celebrated on February 14th by many people throughout the world. 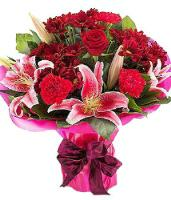 Whether you are sending Valentines Day flowers or you are receiving Valentines Day flowers from St Vincent our online flowers shop can help you in both ways. 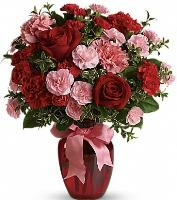 Send red roses to St Vincent this Valentines Day! 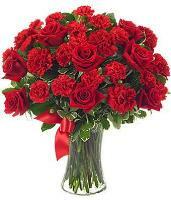 Surprise your loved one in St Vincent with a romantic bouquet of red roses! 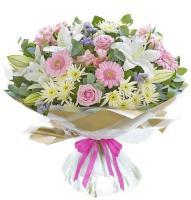 Our online florists offer you a wide selection of Mothers Day flowers from which you can choose and send to St Vincent. 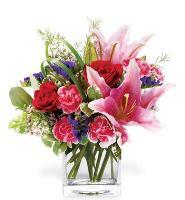 Our unique Mothers Day flower gifts are sure to make your mum in St Vincent smile. 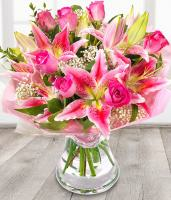 So make mum proud on her very own special day, and her a special Mothers Day mixed bouquet or a Mothers Day flower arrangement.